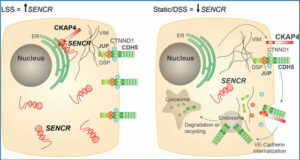 Researchers from Nanjing Medical University downloaded two publicly available human exon arrays for gastric cancer and data for the corresponding normal tissue from the Gene Expression Omnibus (GEO) and re-annotated the probes of the human exon arrays to discover probes uniquely mapping to lncRNAs at the gene level. 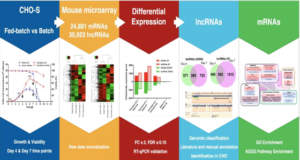 LncRNA expression profiles were generated by using robust multi-array average method in affymetrix power tools. 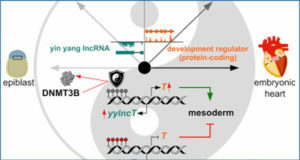 The normalized data were then analyzed with a Bioconductor package linear models for microarray data and genes with adjusted P-values below 0.01 were considered differentially expressed. An independent data set was used to validate the results. 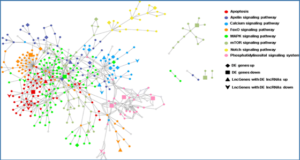 With a computational pipeline established to re-annotate over 6.5 million probes of the Affymetrix Human Exon 1.0 ST array, they identified 136053 probes uniquely mapping to lncRNAs at the gene level. 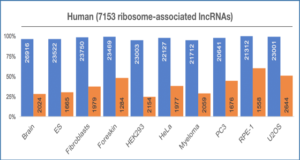 These probes correspond to 9294 lncRNAs, covering nearly 76% of the GENCODE lncRNA data set. 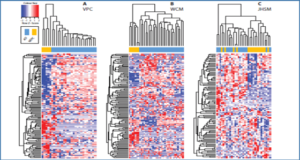 By analyzing GSE27342 consisting of 80 paired gastric cancer and normal adjacent tissue samples, they identified 88 lncRNAs that were differentially expressed in gastric cancer, some of which have been reported to play a role in cancer, such as LINC00152, taurine upregulated 1, urothelial cancer associated 1, Pvt1 oncogene, small nucleolar RNA host gene 1 and LINC00261.